People grappling with osteoarthritis, rheumatoid arthritis, developmental problems, and serious knee injuries are often candidates for knee replacement surgery. Physicians tend to recommend knee replacement surgery after physical therapy, medication, and other conservative forms of treatment have failed. According to the Agency for Healthcare Research and Quality, nearly 500,000 people receive knee replacements every year in this country. Zimmer knee replacement systems were promoted as effectively eliminating pain, restoring flexibility, and allowing patients to function at a higher capacity. Some Zimmer knee components, however, have been linked to higher than anticipated failure rates and other complications after entering the market. Zimmer, Inc. has been producing knee replacement systems since 1968, but the Zimmer NexGen Complete Knee Solution became one of its most successful products after it was approved by the FDA in 1995. Nearly 500,000 patients have received the Zimmer knee replacement system since its inception. In 2001, Zimmer, Inc. introduced the NexGen Flex components, which allow modified versions of the knee replacement system to provide patients greater flexibility and more overall movement so that they could maintain an active lifestyle. The components were advertised as being reliable and designed to be gender specific in order to fit patients better. The system was cleared by the FDA under section 510(k) of the Food, Drug and Cosmetic Act. Since the FDA determined that the NexGen Complete Knee Solution was significantly equivalent to a medical device that’s already in the market, Zimmer wasn’t required to submit clinical test results verifying the efficacy and safety of the knee implant system. The 510(k) fast-track clearance process is an issue of contention amongst physicians and patient advocates, since the lack of clinical trials allows manufacturers to distribute products that could potentially put the safety of consumers at risk. Zimmer uses a cobalt-chromium alloy with a porous fiber material that fuses the NexGen CR-Flex knee component to the bone, while competitors used cement or a fixative to keep the implant in place. If the cement entered the patient’s bloodstream and was absorbed by the soft tissues, it could cause serious medical problems. For patients who received the NexGen Flex Knee component, cement pollution was not an issue. However, a non-peer reviewed report presented in 2010 by Dr. Richard Berger and Dr. Craig Della Valle at an AAOS (American Association of Orthopedic Surgeons) meeting raised concerns about high premature failure rates of the CR-Flex. Titled “The High Failure Rate of a High-Flex Total Knee Arthroplasty Design,” the report encompassed data taken from 108 CR-Flex recipients. 36% showed signs of radiographic loosening, while 8.3% had revision surgery within 2 years. When the physicians released the report, they recommended that the NexGen CR-Flex knee replacement system be removed from the market and not used on any patients due to the alleged design flaws. Dr. Berger contended that the component became loose because it didn’t completely fuse with the bone. Dr. Berger previously worked as a consultant for Zimmer, Inc., but when he informed the company of the problems with the component, they disputed his claims. Zimmer attributed complications with the component to differing surgical techniques used by physicians. Typically, knee replacements last an average of 10 to 15 years, but after patients started to receive the Zimmer knee implants, there were reports of premature failures. Some of the complications linked to the Zimmer knee replacement system caused severe and long-term injuries to patients. Some patients have required additional medical treatment in order to repair the injuries allegedly caused by the Zimmer knee replacement systems. In some instances, patients were required to undergo revision surgery. Having surgery to remove the knee implant is complicated and costly, since the physician must replace the faulty component and repair any existing damage. It can be difficult to properly fuse a new knee component if the original implant caused bone loss or severe tissue damage. Some patients have endured multiple revision surgeries and still need extensive medical care in order to manage chronic health problems. The MIS Tibial components were designed to be used in conjunction with the LPS-Flex and CR-Flex femoral components. 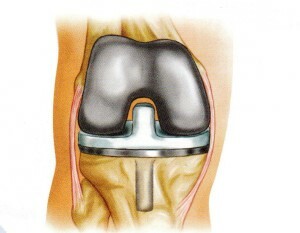 The MIS Tibial component was designed so that physicians could perform minimally invasive surgical techniques that required less recovery time for patients. However, when surgeons used smaller incisions to place the knee implant on the patient, there were visibility problems and it was more difficult for the surgeons to ensure that the components were properly aligned. Hundreds of personal injury and product liability lawsuits have been filed against Zimmer, Inc. The causes of action in the Zimmer knee lawsuits include negligence, design defect, and failure to warn. Many of the lawsuits state that Zimmer, Inc. didn’t conduct sufficient clinical safety testing prior to distributing their knee replacement systems. The legal complaints allege that the knee components are defective and unreasonably dangerous for their intended use. The plaintiffs also allege that Zimmer, Inc. knew or should have known about the safety risks, but failed to provide adequate warnings to patients and physicians. Federal lawsuits regarding the Zimmer NexGen knees have consolidated into multidistrict litigation, MDL No. 2722, and are currently pending in the U.S. District Court for the North District of Illinois. A multidistrict litigation was created since a panel of judges decided it was more efficient and less of a burden on the judicial system to have all of the federal cases centralized in one court.